This past Friday, I returned from a nine-day trip to southern China. 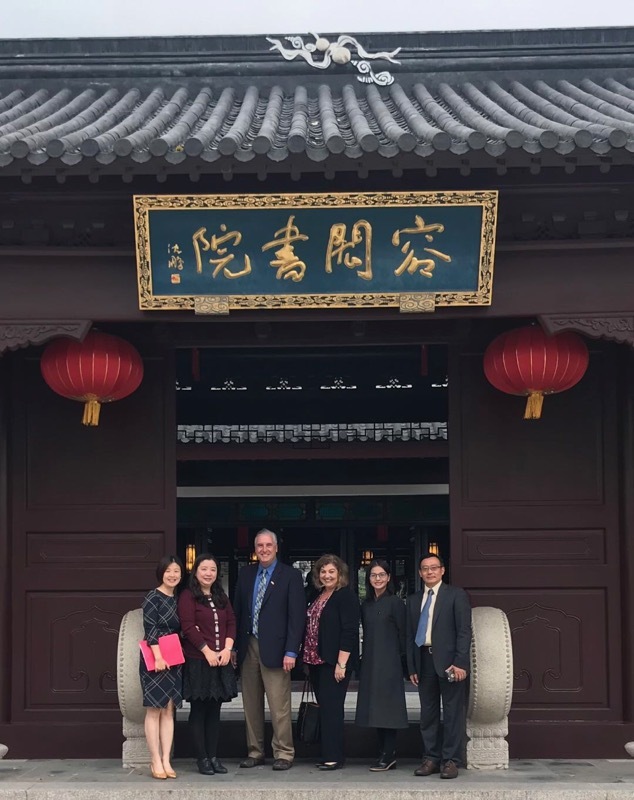 While this was my first time in the country, this latest trip marked the third time representatives from FCS have visited China. 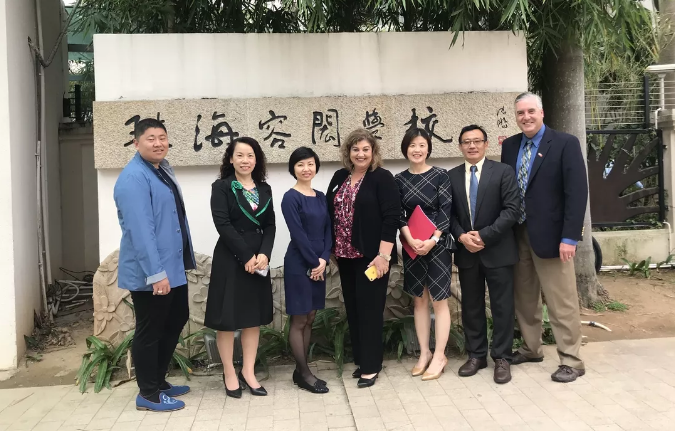 Each trip has included opportunities to visit schools, learn more about the Chinese culture, and to form partnerships that will benefit our students and school. 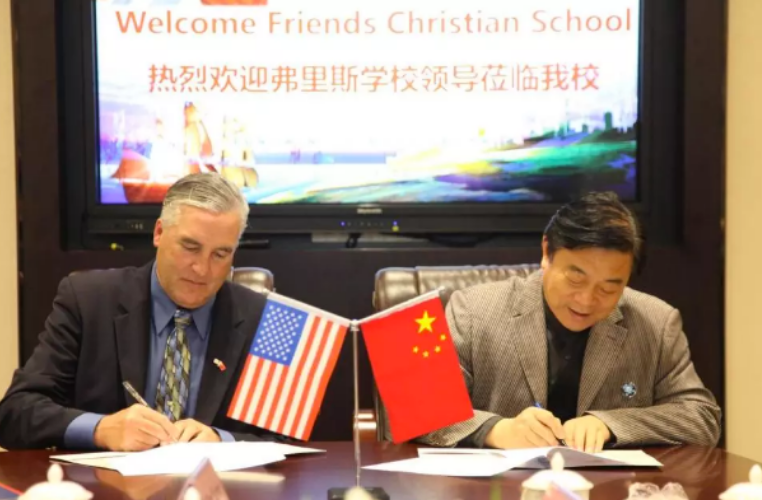 This last reason is really the key to our investment in an FCS/China collaboration. 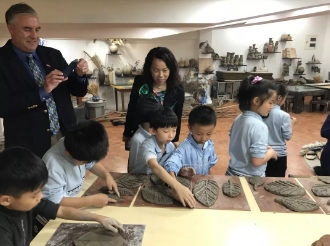 Over the past year, we’ve hosted two groups of Chinese middle school students as part of either a week-long summer camp or a “shadow” opportunity during the regular school year. 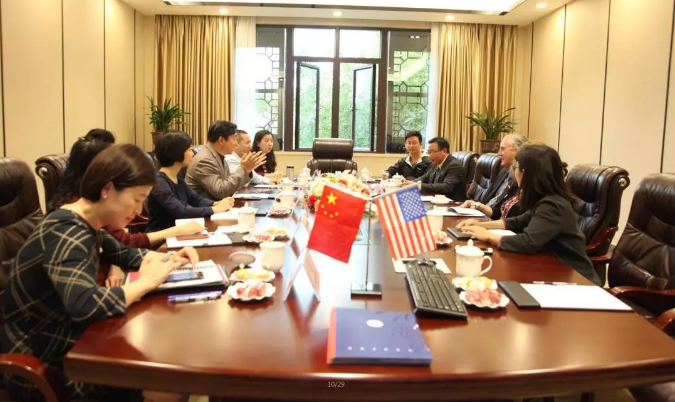 These extended stays have allowed dozens of Chinese students to learn more about the United States and to form friendships with American students and families. In turn, our students have benefited from the opportunity to interact with young people from a different culture and, in some cases, to host these students in their homes. 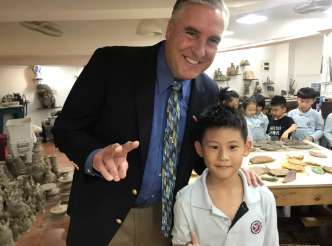 These visits have given our students an appreciation for peers from another country and a greater understanding of all that we have in common. It has also given everyone at FCS the opportunity to demonstrate Christ’s love and to share the gospel. It may sound cliché to say that we are part of a global community but it’s really the truth. In this changing world, we are destined to be connected through economic, environmental, and political factors. The rapid industrialization of China and their emergence as a force on the world stage make positive relations between our two countries imperative. We want our students to know that there is little that can’t be accomplished if our two nations can work together. 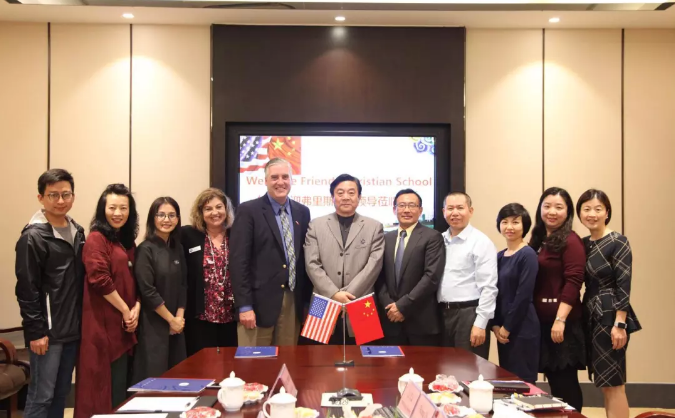 Last March, FCS hosted a delegation of administrators from the Yung Wing School. 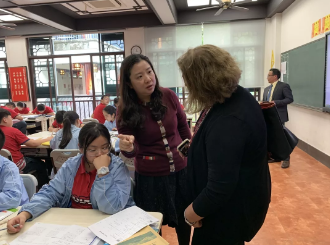 Yung Wing is a private school located in Zhuhai, a rapidly growing city that borders Macau and that is now linked to Hong Kong by the world’s longest sea-crossing bridge/tunnel system. 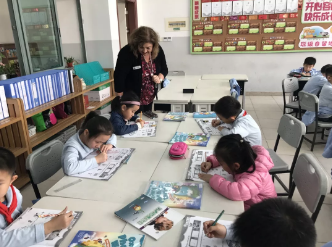 The school is widely viewed as the top private school in Zhuhai and serves 2,500 preschool-9th grade students. The majority of students are enrolled in the school’s international program where they learn English and are taught using western methods. The administration of Yung Wing has been seeking a select group of US institutions to serve as Sister Schools. This past week, Joy Swift and I attended a signing ceremony where I was proud to sign a Sister School Agreement with Yung Wing. Our two schools will now work together on student visits, online student/teacher collaboration, and joint trainings. Through our efforts, we hope to foster a strong sense of cooperation, understanding, and mutual respect in all students and to expand opportunities for our students and staff members. This is a great opportunity for FCS and for every member of our school community. We pray that God will bless our efforts.